The Head of Division is responsible to the Vice-Chancellor for the management and academic leadership of the Division, maintaining and developing the international reputation of Social Sciences as a centre of excellence in both research and teaching. She provides vision and leadership across all aspects of the Division’s activities including its research strategy, educational policy and standards, the recruitment and retention of outstanding academics, relationships with external funding agencies, policy-makers and learned societies, international fundraising and partnering, and improving diversity and equality, and the use of resources. The Head is a member of University Council and its major committees, which are responsible for determining overall University strategy. As Chair of the Divisional Board, she is accountable to Council for ensuring that the Board discharges its responsibilities under the University’s Statutes and Regulations. She works closely with the heads of the 15 departments within the Division and the other University Divisions to foster strong interdisciplinary links across the spectrum of academic activity and with the colleges to support excellence and innovation in undergraduate and graduate teaching. Since joining Oxford to take up a Statutory Chair in Environment and Public Policy in 2004, Professor Whatmore has served as Pro Vice Chancellor for Education, the University’s Academic Champion for Public Engagement with Research, the Division’s Associate Head (Research), and as Head of the School of Geography and the Environment. 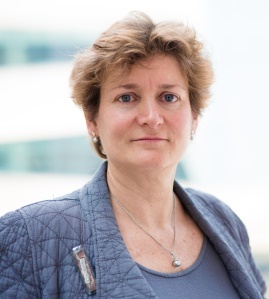 Her research focuses on the relationship between environmental science and public policy and she is an active fellow of several learned societies (including the British Academy and Academy of Social Sciences), and an appointed member of the Defra Science Advisory Council and Chair of its Social Science Expert Group. She is a Professorial Fellow of Keble College.